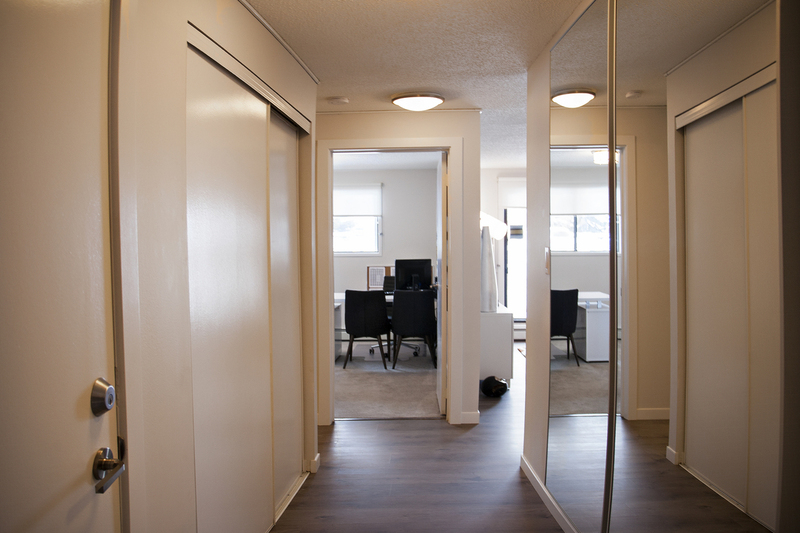 Each suite is renovated and includes a fridge, stove, dishwasher, air conditioner, a large ensuite storage room and SaskTel maxTV and Internet. The main floor suites have patios, while the upper level suites have balconies. Reid Park Estates has undergone extensive renovations; suites include new paint and carpet and lino. Hallways have been fully renovated with new carpet, paint, baseboards and light fixtures. Laundry facilities are located on each floor of each building. The buildings also have security entrances and the grounds are beautifully landscaped. Reid Park Estates is located in southwest Saskatoon with easy access to Clancy Drive and Circle Drive. It borders William A Reid Park, is near shopping centers, schools, churches and all amenities. Heat, water, and one outdoor energized parking stall are included with the rent. Additional parking is also available. Cats are permitted with a monthly non-refundable pet fee (per pet), pending approval of pet application. Dogs are permitted in the 121 Clancy building only, with a monthly non-refundable pet fee (per pet), pending approval of pet application. Six and twelve month lease terms are available to new and current tenants (if eligible).